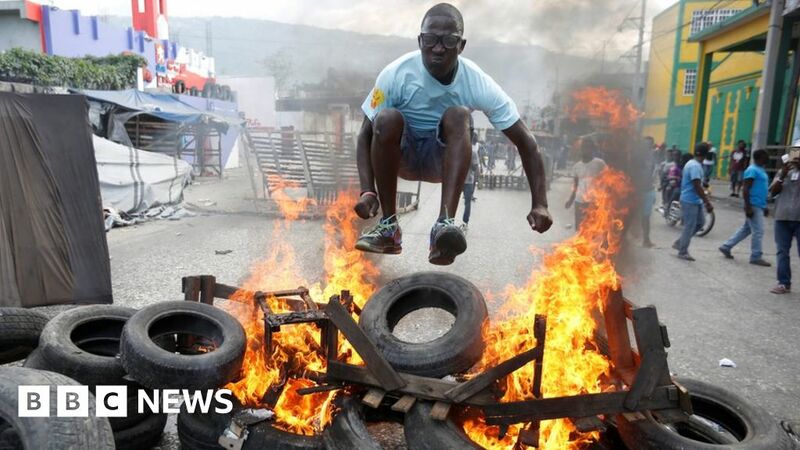 Opposition demonstrators in Haiti burned tires and threw stones, urging President Yovienlya Mois to fail. 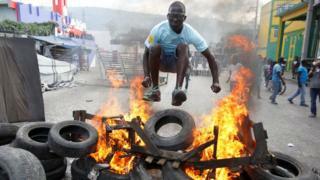 Many Haitians accuse Mr. Moiza and other officials of corruption. Thousands went out on the streets this week. The uprising forced the mayors in several cities to cancel carnival holidays in early March. Haiti is the poorest country in the Caribbean, and 60% of the population live on less than $ 2 (£ 1.53) a day.